Happy New Year! We are proud to introduce ourselves as the new owners of Active Energy Solar. 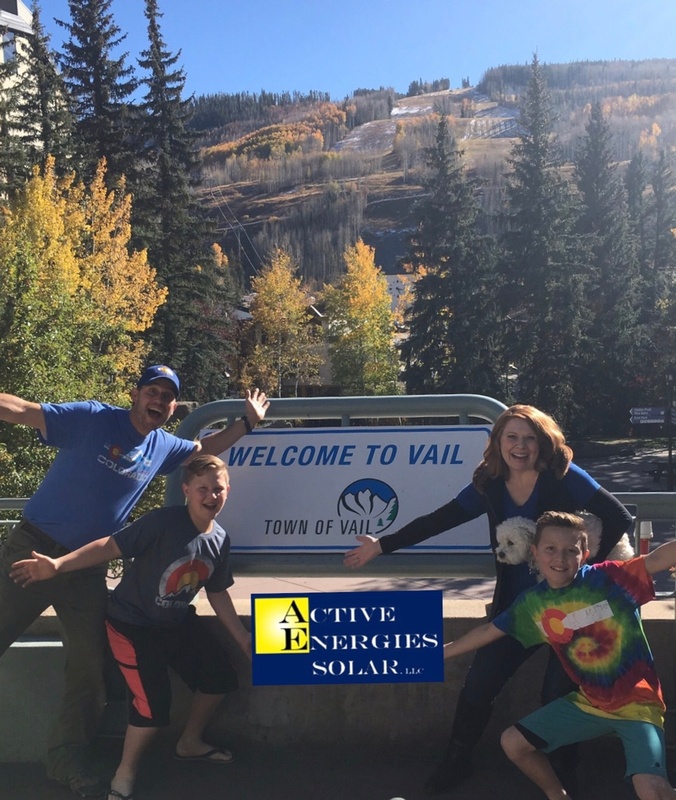 We moved here from Washington State in May to enjoy the Colorado Mountain lifestyle and run Active Energies Solar. Both of us have scientific backgrounds, and have been obsessed with solar, but in Washington State, it did not make as much sense as it does here in Colorado. We've been visiting the Vail Valley for many years, and finally decided to take the leap and move our family here. We are excited to continue the legacy of Active Energies Solar, and become more involved in this wonderful community. Although we have been owners of Active Energies Solar since May of 2017, 2018 will be the first full year of our ownership and we're looking forward to bringing more solar to this beautiful area!